Vitamin D has been big news in Public Health recently, as research indicates that its role in the body extends far greater than simply ensuring bone health through the prevention of such diseases as rickets, osteomalacia and osteoporosis. Studies also suggest that achieving and maintaining an adequate Vitamin D blood serum level, as determined by a 25(OH)D blood test, is essential to the prevention and treatment of autoimmune diseases such as multiple sclerosis (MS) and type 1 diabetes. Additionally, Vitamin D appears to play a protective role in cardiovascular health, various types of cancer, autism, depression, schizophrenia, and respiratory conditions such as cystic fibrosis. It is no secret that the number of health conditions positively influenced by maintaining adequate levels of Vitamin D seems to increase daily. What has been kept secret is the magnitude of Vitamin D deficiency within the African American population. However, it is far worse among those with darker skin pigmentation, as melanin factors greatly into Vitamin D production. The sunlight needs for people with darker skin pigmentation, living at higher latitudes, are immense and are not being met. A lighter pigmented person standing in full sun can produce a day’s bodily requirement of Vitamin D in about 15 minutes. In stark contrast, a person with darker skin pigmentation, standing in the same spot, will need approximately 6 times more sun exposure to produce the same amount of vitamin D.
According to reports by the United States Center for Disease Control and Prevention, African Americans suffer greatly from chronic diseases such as cancer, heart disease, fibromyalgia, lupus, and obesity—all of which may be controlled or prevented with vitamin D supplementation. Unfortunately, many African Americans do not know about the health enhancing properties of vitamin D, so their health continues to deteriorate. 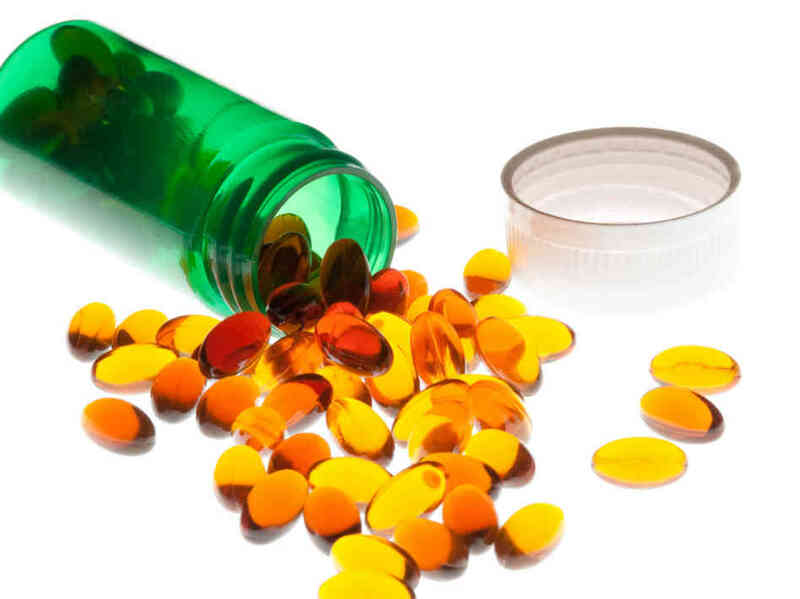 Despite the alarming health situation for blacks, conventional medical practitioners do not seem to be informing African Americans that they may need to take at least 5,000 IU of vitamin D3, in supplement form, every day; and that African American children should also be given adequate amounts of vitamin D3 on a daily basis, because food and drinks do not supply adequate amounts of vitamin D.
It is truly a silent epidemic within the black community. Dr. John Cannell, an international leader in the field of Vitamin D research, has been educating the public since 2003 on the importance of Vitamin D. In his role as founder and Executive Director of the Vitamin D Council, Dr. Cannell has repeatedly highlighted the seriousness of Vitamin D deficiency within the African American community. As far back as 2005, Dr. Cannell wrote specifically on the racial differences in Vitamin D status. His article is included here, as it significantly exposes the enormity of this issue. It is important to realize that 8 years have passed since Dr. Cannell first addressed this Public Health matter, yet little information on the urgency of Vitamin D deficiency has made its way into the African American population. How many African Americans have developed preventable health conditions due to the medical community’s lack of interest in this subject? How many more will suffer needlessly? Again, please remember that Dr. Cannell was writing in 2005; and little attempt has been made in the ensuing years to resolve this Public Health issue. This lack of progress, therefore, presents us with unique opportunity to facilitate change. Opportunity is knocking. How we choose to answer the call will make the difference between life and death for us, our family members, our friends and colleagues, and for our future generations. With our involvement the silent epidemic of Vitamin D Deficiency within the African American population can be ended. Thomas Edison once said, “Opportunity is missed by most people because it is dressed in overalls and looks like work.” Politicians in Washington and scientists at the National Institutes of Health (NIH), the Institute of Medicine (IOM), and the Food and Drug Administration (FDA) have a rare opportunity, one dressed in the overalls of the advocacy group promoting it and requiring real scientific work to prove (or disprove). However, it may be the scientific, medical, and civil rights opportunity of a lifetime. Most of us know that African Americans die at a younger age than whites due to a bewildering and seemingly disconnected array of diseases. Even ailments with a lower incidence among blacks, such as breast cancer, have a higher mortality in blacks. Why? Is it all socioeconomic factors? Or is there a near universal medical condition in the black community that is associated with virtually all the diseases that disparately and prematurely kill black Americans? Is there a single substance with a plausible mechanism of action that could parsimoniously explain virtually all the reasons African Americans die prematurely? In the last four years, a number of studies have documented dramatic racial differences in the blood levels of a crucially important prehormone, 25-hydroxy vitamin D. These studies, when read in the context of clinical studies of vitamin D deficiency, offer scientists and physicians a unique opportunity to examine, and perhaps erase, some of the health inequities burdened by African Americans. Opportunities like these are rare in medical science (and in politics), but government officials, private citizens and the press must first be aware of the studies. What about you, how aware are you? How many of the following thirteen questions can you answer correctly? 1. Blacks are about ten times more likely to be vitamin D deficient than are whites. humans get most of their vitamin D from the sun and blacks need up to ten times longer in the sun to produce the same amount of vitamin D as whites1, 2. The answer is d, twenty times as high. Twelve percent of young black women had 25(OH)D levels below 20nm/L (8 ng/ml) while only 0.5% of whites had such levels3. 3. On the average, young white women of childbearing age have twice as much vitamin D in their blood as young black women. A) associated with vitamin D deficiency. B) more common among African Americans. The answer is both. With the exception of osteoporosis, the list of diseases associated with vitamin D deficiency and the list of diseases more common among African Americans are virtually identical. Osteoporosis, the exception that proves the rule, is a multifactorial disease whose main determinate is peak bone mass during puberty. The law of parsimony (one explanation for multiple findings is better than multiple explanations for multiple findings) suggests the high rate of vitamin D deficiency among African Americans explains at least part of excessive disease and mortality among African Americans5, 6, 7, 8, 9, 10, 11, 12, 13. 5. Vitamin D deficiency in African American mothers may explain the fact that black babies are more than twice as likely as whites to have low-birth-weights. Dr. Kathleen Fuller, of the Center for the Study of Race and Ethnicity in Medicine at the University of Kansas School of Medicine was the first to point out this possibility14. 6. Eighty-three percent of American children diagnosed with vitamin D deficient rickets in the last 17 years were African Americans. 7. Professor John McGrath recently documented that vitamin D is crucial for brain development. 8. Breast milk of black women often has undetectable levels of vitamin D. With adequate supplementation, breast milk can easily be transformed into a rich source of vitamin D.
True. It is now clear that the reason most breast milk is such a poor source of vitamin D is because most mothers do not have enough vitamin D in their own blood to excrete it in their breast milk. Dr. Bruce Hollis and Dr. Carol Wagner recently solved an old and vexing medical question: Why is nature’s perfect food devoid of vitamin D? Answer: Because virtually all modern mothers are vitamin D deficient. Hollis and Wagner found 4,000 units of cholecalciferol a day transformed vitamin D deficient lactating mothers into vitamin D replete lactating mothers whose breast milk transformed vitamin D deficient infants into vitamin D replete infants. The mothers needed 4,000 units a day, about as much vitamin D as whites get after about 5 minutes of full body summer sun exposure. Black women are much more likely to have undetectable levels of vitamin D in their breast milk than white mothers17, 18. True, see below for discussion. 10. Under current FDA regulations, the only foods mandated to contain vitamin D are milk products. The answer is true. Virtually all physicians know that blacks consume much less milk than whites; the most common reason given is that many blacks are lactose intolerant. The FDA delivers most of the vitamin D in supplemented food in the form of milk. I’m not saying, nor do I think, the FDA under the Bush administration continues to purposefully mandate only milk products be supplemented with vitamin D in order to hurt African Americans. I don’t know what Jesse Jackson, Al Sharpton or the NAACP would think. African Americans consume little milk. Foods which African Americans do consume in equal quantities, such as juice and cereals, may be supplemented with vitamin D but such fortification is not mandatory or widespread. Virtually all the vitamin D delivered to Americans via fortified food is delivered in fresh milk, a product that manufactures choose to fortify with vitamin D – a practice the FDA allows, but does not mandate unless the milk is advertised as vitamin D fortified milk. A recent study sponsored by the National Medical Association indicated blacks could consume more milk but choose not to do so for a variety of reasons. Unfortunately, there is usually no vitamin D in yogurt or cheese, foods African Americans do consume19, 20. 11. The FDA knows that vitamin D deficiency may explain a significant part of the excesses mortality in the black community. 12. The FDA also knows blacks do not drink much milk and are not getting as much supplemental vitamin D as whites. 13. When did we discover that vitamin D deficiency is much worse among African Americans and that the FDA’s food fortification program is shortchanging African Americans? B) during the last four years. April 26, 2014 tomaca Comments Off on Is Fasting Good for You?